I’ve been working with BDD for years and felt that it needed an application that would facilitate the Behaviour-driven development work-flow. It would need to be made in a away that anyone can use it. By anyone I mean people with or without technical skills. Coders, testers, analysts, managers, business, etc. In that spirit, I started working on BDD Assistant. 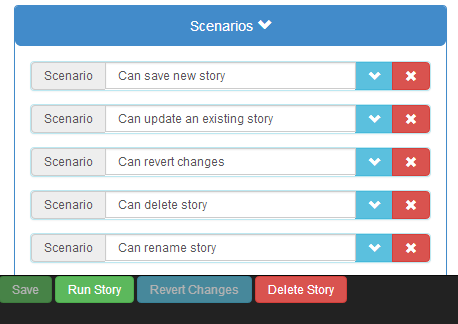 It is an open source application that can be used to create, manage and run BDD stories. Now I feel that it is finally ready to go public. The application is far from being finished but there is enough done for the community to see what it’s all about. More information can be found in the BDD Assistant site. Latest release can be downloaded from our GitHub repo. Live demo (with some features disabled due to hosting limitations) can be seen from the BDD Assistant demo. This entry was posted in Behavior Driven Development (BDD) and tagged AngularJS, BDD, Behavior-driven development, Bootstrap, Bower, CD, CircleCI, Continuous delivery, Grunt, Gulp, Heroku, Play, SBT, Scala, TDD, Test-driven development, Travis on September 2, 2014 by Viktor Farcic. The previous post explained narrative as a format to describe feature or requirement. Even though narratives can be written by anyone, it is often the result of conversations between the product owner or the business analyst and business stakeholder. Scenarios describe interactions between user roles and the system. They are written in plain language with minimal technical details so that all stakeholders (customer, developers, testers, designers, marketing managers, etc) can have a common base for use in discussions, development, and testing. 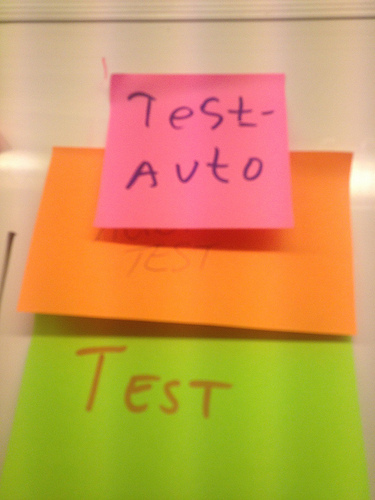 This entry was posted in Behavior Driven Development (BDD) and tagged Acceptance testing, BDD, Behavior-driven development, business analyst, Narrative, Scenario, testing, User story on November 25, 2013 by Viktor Farcic. 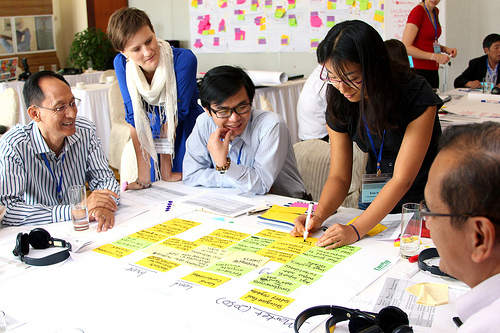 The goal of software projects is to deliver value to stakeholders. Even though that might sound an obvious statement, it can be easily forgotten in traditional Waterfall projects. The very nature of the Waterfall process fosters the creation of different departments whose job is to receive work from the previous stage, produce something, and pass it on. Each of these phases tends to have separate teams and departments. BAs work with requirements, architects write design documents, developers code, integration engineers integrate, testers test, and someone installs the software. Each of these departments is waiting for others to produce something, to start working on their artifacts and, once finished, to pass it on to someone else. The value for the stakeholders is, in many cases, unknown or forgotten. Most people involved in such projects are concerned about “doing their part” and throw it “over the wall” to those coming next. 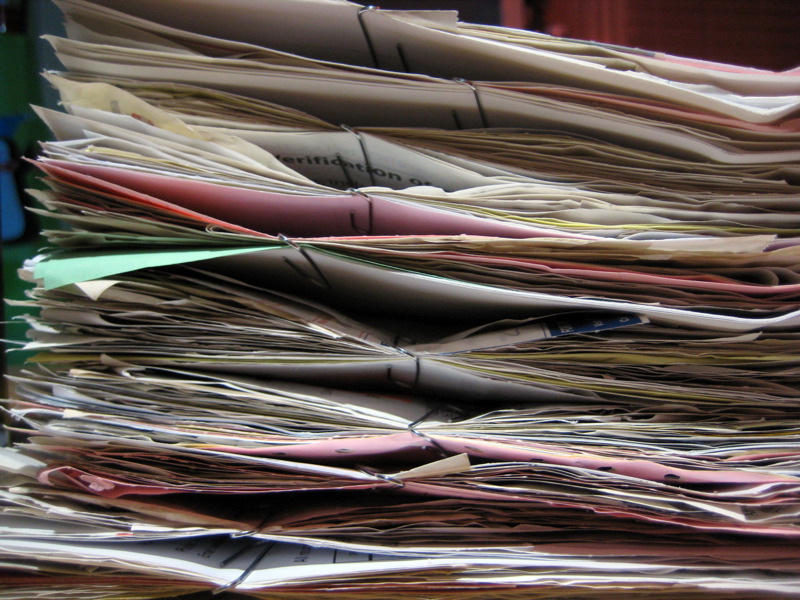 Moreover, artifacts produced by one team are often not used or understood by another.